Every parent knows the joy of watching your child reach new milestones, say new words, and learn new skills. As you watch your child learn and grow, you may find yourself asking, “Is my toddler gifted?” Many gifted children do not show signs until a bit later in life, but there are several potential clues that can indicate your toddler may be gifted. Remember that many exceptionally intelligent children do not show these indicators, so don’t be alarmed if this doesn’t sound like your toddler. Albert Einstein himself didn’t speak until the age of four, for example. Also keep in mind that not every child who shows these signs at an early age will grow up to be exceptionally gifted. Although there’s no foolproof test to determine if your toddler is gifted, here are ten signs that can hint you may have a gifted child on your hands. If your toddler seems to have a large vocabulary or speak in complex sentences for her age, she may be gifted. Other signs include early use of appropriate grammar, an interest in the alphabet, and the ability to follow multi-step directions from an early age. Toddlers who seem to soak up new words like a sponge may also be gifted. For example, if you mention a word to your child once or twice, and it quickly becomes part of her vocabulary, this could be a sign of exceptional intelligence. Many gifted children also have a tendency to speak fast because their minds are working so quickly. 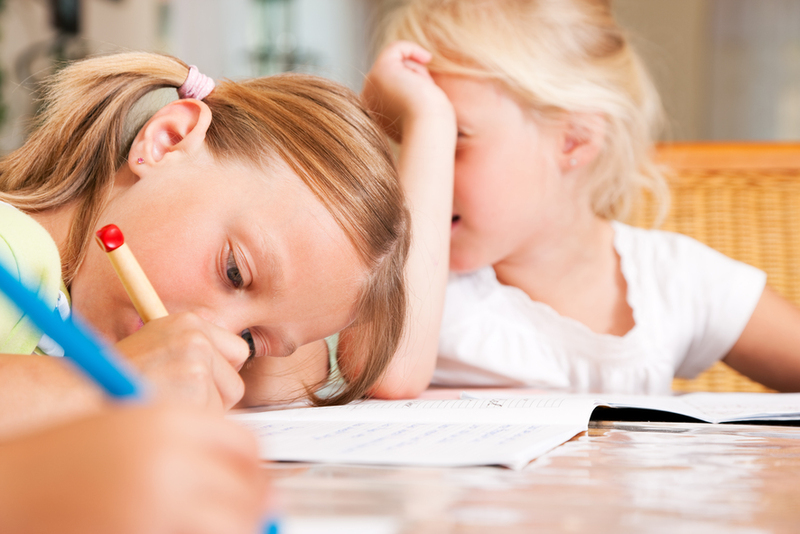 Gifted pre-school children are often self-taught to read and/or write, and they have the ability to understand or even participate in adult conversations. Does your child constantly ask questions, to the point of trying your patience? Don’t worry; she may just be gifted! Gifted children typically have a desire to know and explore their world, and this means asking plenty of questions. In fact, the mind of a gifted toddler may be so active that she has difficulty falling asleep at night. A gifted toddler may also be especially perceptive, seeming to notice your new haircut or the fact that you’re having a bad day. Gifted children often remember almost everything they see and hear, even minute details from TV shows, books, and conversations. These children can also typically apply learning to new contexts and situations. For example, a child who reads a book about owls can then correctly identify images of owls on clothing, signage, and television shows. A gifted toddler will usually require very little instruction or direction, and likely prefers to do things on her own or in her own way. She may develop a specific area of interest or two, and actively seek out new information on these topics. Gifted children often seem to find joy and pleasure in learning. Most gifted toddlers inhabit a rich world of imagination and creativity. By pre-school, many children with exceptional intelligence have at least one imaginary friend. They also “play pretend” often: pretending to take care of baby dolls, pretending to cook or eat meals, pretending to drive a car, etc. You may also notice a gifted toddler showing great appreciation for art, beauty, and music, as well as demonstrating a unique sense of humor. iS YOUR KID A BUDDING ARCHITECT? Another sign that your toddler may be gifted is an unusually long attention span. For example, a gifted toddler may be able to sit through the reading of a long storybook and even request that you read it again. A gifted toddler may become so absorbed in something that interests her that you will have to physically touch her to get her attention. You also may find that she doesn’t like to transition to another activity or task if something has caught her interest. However, gifted toddlers do quickly shift focus if they are not interested in a task or feel unchallenged. Even as an infant, a gifted child may be unusually alert and watchful. They begin to pay close attention and observe everything and everyone around them at an early age. These children also tend to make more eye contact and seem to understand other people earlier than most children. You may also notice a gifted child closely observing you and others and mimicking your actions. If your child has a tendency to throw tantrums and seems to feel emotions with unusual intensity, she may be gifted. Gifted toddlers are often prone to temper tantrums because they are very strong-willed and hate feeling misunderstood or being prevented from doing something that they feel is perfectly justified. They are also impatient with their limitations, and they may express this frustration with angry outbursts. Sometimes, gifted children can be very self-critical and have poor relationships with peers. You may find that a gifted toddler prefers to work or play alone. A child who begins smiling at an early age may be gifted. The same is true for a child who rolls, crawls, walks, or throws a ball earlier than most. Gifted toddlers may even exhibit superior strength for their age. Early development of motor skills related to balance, coordination, and movement can be another sign that your toddler is gifted. Although a gifted child is not necessarily hyperactive, a constant need for movement, talking, exploring, and asking questions can be a sign of exceptional intellect. Often, gifted toddlers need constant stimulation and will be unusually active and energetic. When this energy is directed into proper channels, the child will become extremely focused and involved in interesting tasks or new learning. DOES YOUR toddler LOVE SOLVING PUZZLES? Gifted toddlers often show a unique interest in numbers and solving puzzles, even those meant for much older children. They also tend to have the ability to creatively solve challenges that may arise. For example, a gifted toddler who wants to reach an object on a high shelf may pile up a few books and stand on them. An interest in organizing, sorting, arranging, and classifying objects can also be a sign that your toddler is indeed gifted. Many of the IQ tests given by schools and psychologists to determine whether a child (between 3-6 years) is gifted use question types that measure the child’s ability to understand classifications, complete puzzles and problem solve through logical reasoning. If you would like to see how your child might tackle some of these kinds of questions, click the blue button below. Other signs that your child may be gifted include a strong sense of ethics and justice, passion for specific topics or interests, and the ability to “get” more advanced humor. One of the best ways to determine whether your toddler is gifted is to compare her abilities to the abilities of other children around the same age. Does your child seem advanced in comparison? Parents tend to be biased in favor of their own precious little ones, so also pay attention to comments and praise from other friends, family members, or teachers. Do they seem to think your child is gifted? Then she just might be! There is no definitive answer to the question, “Is my toddler gifted?” but these ten signs are a great place to start.